1260 re-arranges to either 2016 or 6012 1+3+3+5=12 6012 AL =2012 AD, the End of Time. He who testifies to these things says, ‘Yes, I am coming soon.’ Amen. Come, Lord Jesus’. There have been many predictions of End Times over the millennia, which have obviously been proven wrong. However, there is a broad consensus – led by the Mayan Long Count Calendar — across human culture that 2012 is the date of change . Indeed in the esoteric the letters ‘MM’ come up frequently. Some believe they stand for Mary Magdalene and the divine feminine. However, in Roman numerals, they stand for 2,000, indicating that the End Times will begin from the outset of the 3rd millennium. Before we look at other examples consistent with the prophecy of the End Times, it is worth stating that I have not included some of the weird phenomena that are now occurring on a regular basis like 1,000s of dead fish and birds being found in January 2011 without any cogent explanation and the ever stranger weather we seem to be experiencing in recent years. To come to a reasonable assessment of the strangeness of these events, we would have to compare them with the frequency of similar events across history, for which I have neither the time, resources nor inclination to perform. No, the following evidence indicating that we are in the End Times is self-explanatory to a reasonable man. The fact that a re-established Sanhedrin is now considering the rebuilding of the Temple after 2,000 years is extremely important to students of Bible prophecy. I believe that we are very near the final climactic events that end with the Second Coming of Christ. It is notable that ‘David’ comes up in connection with the rebuilding of the Temple. For many Jews the rebuilding of the Temple is a prerequisite of the Second Coming. A Talmudic tradition states that Elijah  the Prophet will present himself before a duly-ordained Sanhedrin when he announces the coming of the Messiah. The Talmud identifies two classes of rabbinical courts called Sanhedrin, a Great Sanhedrin and a Lesser Sanhedrin. Each city could have its own lesser Sanhedrin of 23 judges, but there could be only one Great Sanhedrin of 71, acting as a sort of Supreme Court of Appeal or the only body with the authority to try the king. In some cases, it was only necessary for a 23-member panel to convene. In general, the full panel of 71 judges was only convened on matters of national significance like a declaration of war or in the event that the 23-member panel could not reach a conclusive verdict . When combined with one Messiah, we have a council of 24 or 72 (3x24). The Panacea Society – inspired by the original quote in the Book of Revelation – also concern themselves with ’24 Elders’, who must be present when Joanna Southcott’s box is opened. A group of Jews — who recognise the biblical Jesus as the Messiah and believe all Jews will come to accept this — cite the reconvening of the Sanhedrin as fulfilment of the End Times prophecy. They also believe the Sanhedrin is the only authority which has the power to reverse the judgment allegedly made nearly 2,000 years ago to reportedly condemn Jesus to be crucified . In fact, many people across the world prepared themselves for the arrival of the Anointed One on 07.07.07, in line with the ancient prophecies, to begin the Second Coming, which will culminate in Judgement Day and the ‘ascension’ of the Elect to the New World in 2012. Yet, as terrible a day as September 11, 2001 was; the events of that day will pale in comparison to the coming DAY of the LORD. Yes, JUDGMENT DAY! The DAY the Bible has been warning us about for thousands of years. The DAY the Lord Jesus will come in all His glory to gather together his elect, from the four winds, from one end of heaven to the other and to judge the wicked for their sins. On 7-7-07 there will be a sound… A sound from earth crying out to be the heavens for God to invade our land. There is no other alternative for this region. We must have this move of God! These are just a few examples of the expectation and events of that day, involving millions across the planet. What’s the deal with ‘7/7/7’? Well, it’s all about Solar Resurrection… again. 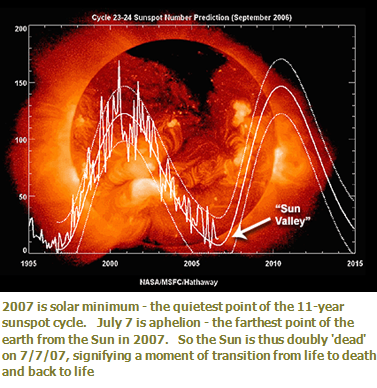 2007 is solar minimum – the quietest point of the 11-year sunspot cycle. July 7 is aphelion – the farthest point of the earth from the Sun in 2007. So the Sun is thus doubly ‘dead’ on 7/7/07, signifying a moment of transition from life to death and back to life . Kaduri gave a message in his synagogue on Yom Kippur, the Day of Atonement, teaching how to recognize the Messiah. He also mentioned that the Messiah would appear to Israel after Ariel Sharon’s death. […] Other rabbis predict the same, including Rabbi Haim Cohen, kabbalist Nir Ben Artzi and the wife of Rabbi Haim Kneiveskzy. As one of Israel’s most prominent rabbis, shortly before he died, he wrote the name of the Messiah on a small note which he requested would remain sealed until now. When the note was opened, it revealed that Yehoshua, or Yeshua (Jesus), is the Messiah, who will appear at any time. 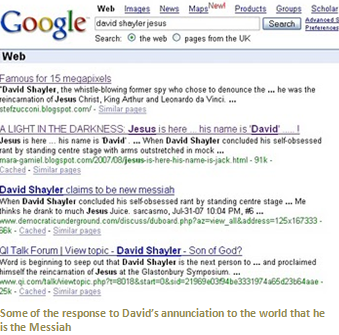 ‘Yeshua’, the name for the Messiah in Hebrew is an anagram of ‘Sheyoluh’. Seven: denotes spiritual perfection. It is the number or hall-mark of the Holy Spirit’s work. He is the Author of God’s word, and seven is stamped on it as the watermark is seen in the manufacture of paper. The number 7 perhaps speaks of perfection or completeness. God’s complete provision in His dealings with men. Samson’s seven locks of consecration. The seven pillars of wisdom’s house. The sevenfold sign of total commitment and dependence. The seven lambs to attest the conclusion of a peace treaty. The seven fold sprinkling of blood before cleansing was complete. The seven week count to Pentecost, the seven year count to the sabbatical year and the seven times seven year count to the Jubilee year. 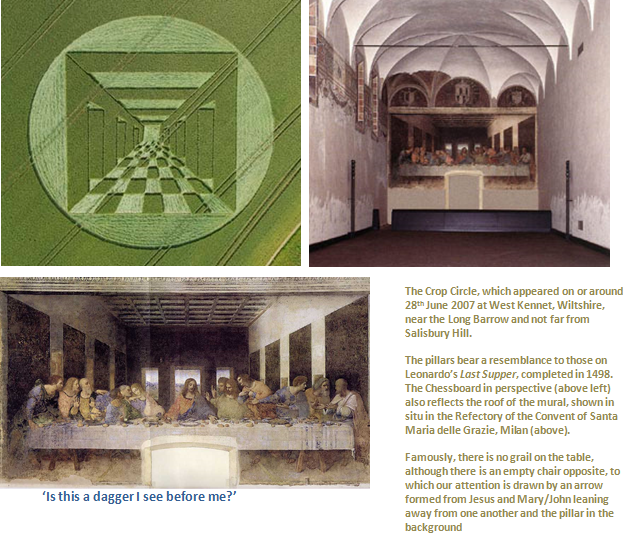 The seven candlesticks, seven churches, seven stars, seven seals, seven trumpets, seven thunders, and seven plagues etc mentioned in the Book of Revelation. Yahweh , the Father of Yeshua the Messiah. He is the pinnacle of perfection, power and purity. This date ends all forms of human and satanic government completing God’s destined 6 millenniums of human government. And this date is the Jewish New Year, beginning the 7th Millennium of Divine Government under the King of Kings. And so in the 7th Holy Month of the 7th year of the 7th Millennium… God’s Plan is complete… Yahshua the Messiah returns as King of Kings to reign physically for the rest of eternity. To us in SBS [Stewarton Bible School] the number 777 numerically expresses the Almighty’s Truth as regards His 7th day Sabbath, His 7 annual Sabbaths, His 7th year Sabbath and His 7th thousand year Sabbath – the millennium. 7th millennium: according to the Freemasons and the correct Jewish calendar, 2007 AD was 6007 AC, anno lucio or year of light. July 7th 2007 fell on a Saturday which is the true seventh day and Sabbath or Lord’s day. The 777 and Christ theme has been repeated on forums, in this example, in a discussion group about the Protocols of the Elders of Zion. The Holy one, blessed be he, has one righteous man in his world, and he (Moshiach) is very precious to Him (God). Because he maintains the whole world and He is its foundation. […] With the clouds of heaven, one like a son of man will come. Moshiach has a life, a name, a place of birth and he is a normal human being like anyone. In the light of other sources indicating that the Second Coming or the awakening of humanity began on 07.07.07, 777 here becomes a prophecy of humanity’s first steps to the state it ‘must one day realise’. According to the tradition of Himalayan masters, 777 is the number of the celestial man. It symbolizes the transmutation which takes place at the time when man becomes conscious of his destiny and the divine plan. This is exactly what happened when the Messiah awoke around 07.07.07 so he was able to teach about God’s plan for the changing universe. In a study on 777, H.-S Green sees in it the triple evolution of Mana, Buddha and Atman — spiritual concepts equivalent to the breath of life or the Holy Spirit — in the Eastern traditions of Buddhism, Hinduism and Polynesian culture . Again in the light of what happened to me on 07.07.07, this clearly refers to the heightened Christ consciousness brought to me by the Holy Spirit. The note helpfully explains that ‘King’ here refers to the Messiah . In the first verse of the Bible, it is written: ‘In the beginning God created the heavens and the earth.’ (Gen 1:1) This verse consists of 7 Hebrew words and 28 letters (4x7), and it also counts three names: God, heavens and earth. The sum of the numerical values of each one gives 777: God = 86, heaven (paradise) = 395 and earth = 296, where 86+395+296 = 777. Written in Hebrew, ‘Orthodox Messiah’, gives 777: Hey, Mem, Shin, Yod, Chet, Daled, Tav and Yod, giving 5+40+300+10+8+4+400+10 = 777. Written in Hebrew, ‘YHWH in the YESHUA Messiah’, gives 777: Yod, Hey, Vav, Hey, Beth, Yod, Shin, Vav, Ayin, Hey, Mem, Shin, Yod and Chet, giving 10+5+6+5+2+10+300+6+70+5+40+300+10+8 = 777. Written in Hebrew, ‘YESHUA saves’, gives 777: Yod, Shin, Vav, Ayin, Hey, Vav, Shin, Yod and Ayin, giving 10+300+6+70+5+6+300+10+70 = 777. The numerical value of the Hebrew word NMLA IVMM, meaning ‘filled with light’, gives 777. The Christ said: ‘I am the resurrection’. In Greek, resurrection is written ‘h anastasiV’, numbering 777 = 8+1+50+1+200+300+1+200+10+6. Don’t forget that the Hebrew for ‘Yeshua’is an anagram of ‘Sheyoluh’, the phonetic pronunciation of my name. All the above could now easily be interpreted as revelations or predictions of what was to happen on 777 or 7th July 2007: the Higher Powers acknowledged me as Messiah in order to teach how humanity can be awakened and our souls saved through accessing the Holy Spirit or Christ or Jesus consciousness. Throughout my life, I had been aware that the 777 or more 7s seemed to call to my attention. For example, for many years, I had a swimming certificate dated 7.7.77 on my wall. In the year running up to my awakening, 777 appeared to me all over the place. For example, at a talk I was giving I mentioned that 777 kept coming up. We then adjourned for lunch only to find a plaque on the wall of the dining room, commemorating the 777th anniversary of the signing of the Magna Carta. On 2nd July 2007, a psychic channelling the spirit of the Magdalene also known as Gaia anointed me with spikenaard, forming a Messianic cross on my foreheard. Gaia told me the higher powers had a task for me on 07.07.07. That day, Jesus took me to St Mary Redcliffe Church in Bristol, where I meditated in the original Magdalene or hexagonal chapel. At the precise moment my meditation ended and I placed my foot on the floor outside the central hexagon, the church bells started ringing. Jesus told me I had been proclaimed Messiah. The signs don’t end there. The English monarch who signed it was King John, dob 24.12.66 (the year 1166), an incarnate of the Jesus soul: I’m the last incarnate, dob 24.12.65. The number can be better understood in the context of another number which comes up in the esoteric: 117, the two divine numbers, 7 and 11, combined . This has led many in secret societies — like the reported Priory of Sion — to believe that 17th January (1/17) would be the birthday of their alleged Baptist messiah. Instead it represents the birthday of the Christ – in the sense of his spiritual rebirth. If we put 117 with 777, we get 117777. I was anointed by God on the 29th June 2007, 1 week, 1 day before Saturday, the 7th day of the week, 7th July, the 7th month, 2007. 117 could also be read as Sunday 1st July, where Sunday is the 1st day of the week, 1st day of 7th month. Sunday 1st July 2007 was the beginning of the first full week after the anointment of the Christ. 0117 is the dialling code for Bristol, the city where I went through my awakening. If you understand the esoteric, you can work out the exact day Christ was to be anointed, 29th June 2007 — one week, one day before 7777 or Saturday 7th July 2007. That was the day I was anointed. A belief in meaningless ‘coincidence’ is at odds with the divine plan and God’s justice, revealing an ignorance of the workings of the universe. ‘Do not weep: for the Lion of Judah, the Root of David, has won the right to open the scroll and break its seven seals.’ […] And when he had opened the seventh seal, there was silence in heaven about the space of half an hour. Yahweh is a rendering of the Hebrew Yod Hey Vav Hey. To those in the know, it is pronounced ‘Jesus’.